At D&V Plastics, were a Toronto bakery supply business that has been specializing in providing a range of durable and reliable products to businesses for over 20 years. Our Canada bakery supply company has become a customer favourite over two decades because of our commitment to excellent products that our customers can trust without question. 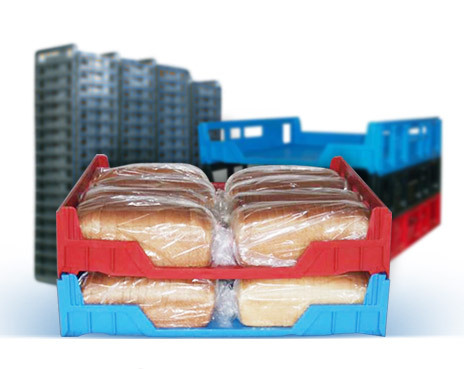 We ensure the best results for your bakery business by supplying durable, reliable products. Our goal is to be your first choice in Ontarios bakery supply industry. We aim to supply your bakery with the very best in bakery products to ensure quality in all your ventures. Our dedication to this product quality is unwavering, as is our commitment to customer satisfaction. We also constantly strive for business efficiency in manufacturing products for our expansive customer base in the Toronto bakery supply industry. Located in Acton, we serve your Ontario-based bakery with the plastic products it needs to thrive. Our company is a small, family-operated Toronto bakery supply business eager to satisfy your demands, regardless of size and regularity. We do this efficiently by providing a reliable source of baking products for your business. This dedication to quality is why our facility operates 24 hours a day, 5 days a week: it is an effort to maximize our participation in the Ontario bakery supply sector. It is due to our continued diligence in looking out for our customers and their specific business needs that we have continued to remain a popular choice among businesses as Toronto's first choice for bakery supply. Ontario has bakery supply companies in abundance, but our business stands out as a customer-first leader in the industry. If youre interested in contracting our professionals to supply your Toronto or Ontario-based bakery, contact us today!